One more Shankar Jaikishan soundtrack. 'Barsaat' [review]  is notable for being the duo's very first score, instantly successful and a first-rate beginning to an illustrious career. Every elegantly arranged song, most of them performed by Lata Mangeshkar, is noteworthy; melodically sublime and rhythmically striking. 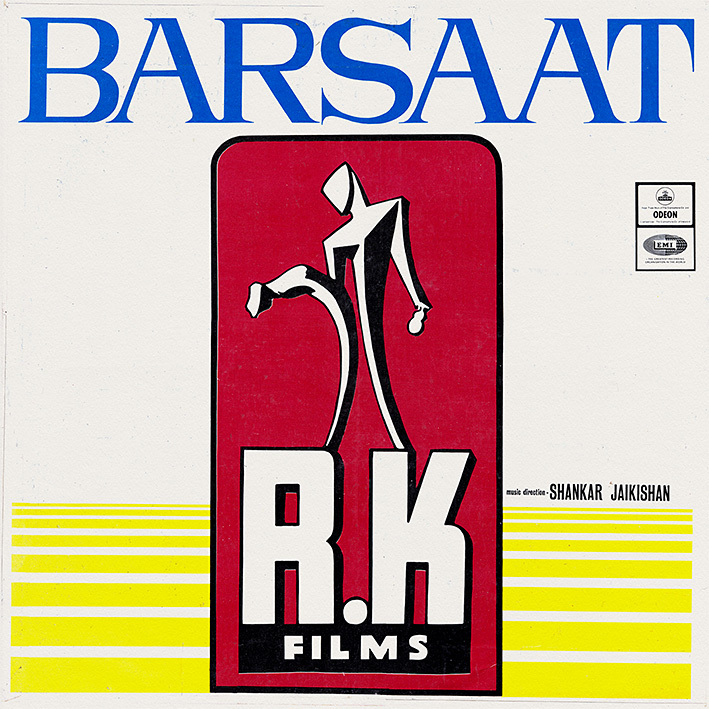 'Barsaat Men Ham Se Mile' and 'Patli Kamar Hai' were apparently (at least according to Wikipedia) the first title song and cabaret number respectively in a Hindi movie. Both are wonderful, but it's the dramatic, deliciously exotic sounding 'Bichhde Hue Pardesi', 'Ab Mera Kaun Sahara' and 'Chhod Gaye Balam' that I mostly come back to these days. There's no filler here though. This is a top notch album, marred only by the slight truncation of songs to fit them all in. The full length versions can be heard on YouTube. I'm often into what you don't like that much, and vice versa, yet I always look forward to all your new posts. But this one? I couldn't agree with you more about this one. This one is great. Thank you.